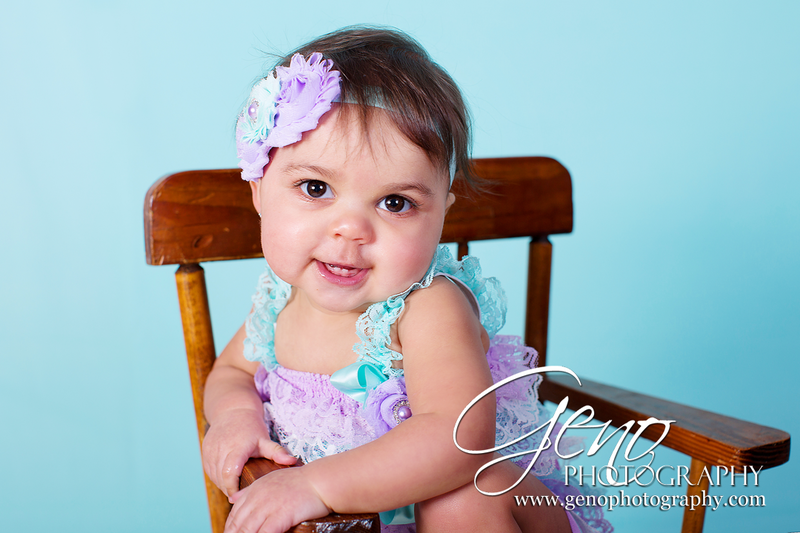 Skylar came into the studio this past weekend to celebrate her first birthday with a portrait session and cake smash session. It took her a little while to warm up to getting her portrait taken, but once she did we got some great shots of this lovely little lady. 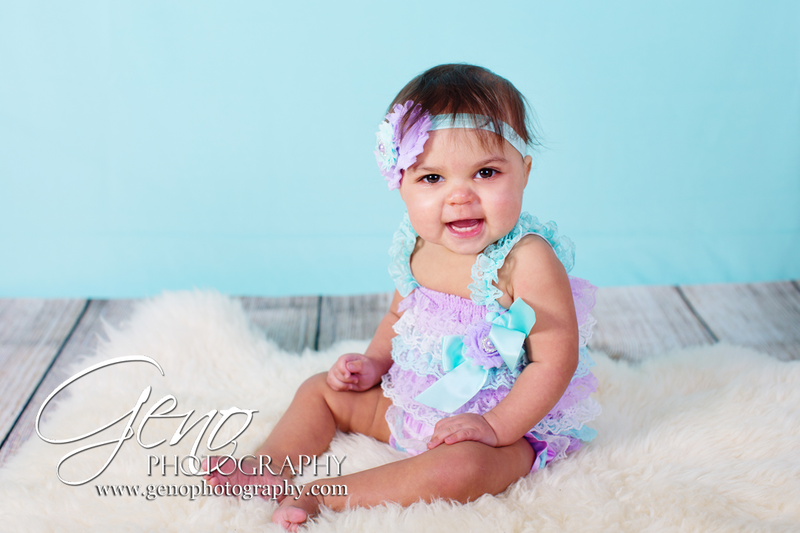 I adore her little lavender and teal lace romper and headband set. 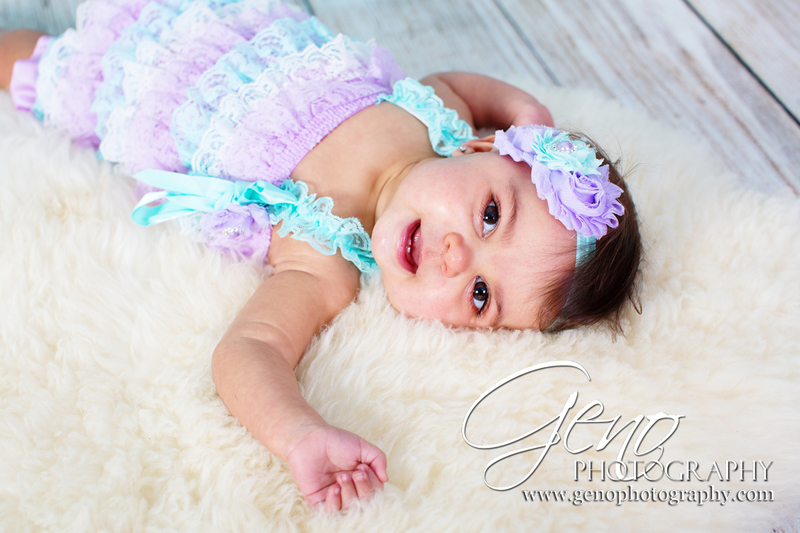 Seriously, it doesn't get much cuter than this! Between her outfit and her big smile, she is just adorable.